The under 8s and under 10s continue training this Saturday at the Sportshall at the RCS. Training may be outdoors this Saturday morning training on the Astro-pitch. The under 8s will train from 11am – 12pm with the under 10s training from 12pm – 1pm. Under 12 training continues every Tuesday at the RCS from 7pm – 8pm. Despite losing by a single point to Burt last weekend, Naomh Mhuire were crowned division 3 champions. Two goals from the visiting Burt side helped them to a 2-02 to 0-7 victory. Congratulations to team manager Danny O’Donnell, selectors John McGarvey and Johnny Gallagher and to all the players for an excellent league campaign in division 3 culminating in league honours. The Junior Gaeltacht get under way this weekend with a game against Termon on Sunday 19th Feb with a 2 o’clock, at the Burn Road, Termon. 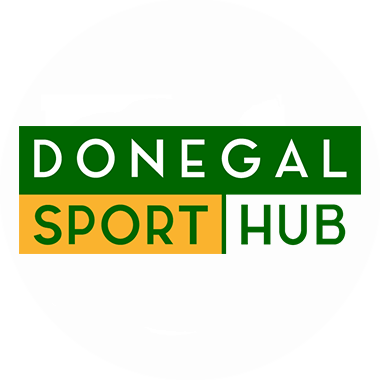 The Senior game against Dungloe will take place on either Saturday or Sunday the 3rd or 4th of March, in Dungloe. Well done to Jack O’Brien and James Ferry and the Donegal vocational schools team who win the ulster title when they defeated Cavan in the final on Wednesday. The 2 lads were part of the panel and now go forward to meet Cork in the All-Ireland semi-final in Portlaoise on Saturday week. John Gillespie of Gillespie Engineering has donated a set of kit bags to the Club Senior side for their year ahead in Div 2. The Club are most grateful to John and Gillespie Engineering for this sponsorship as well as the sponsorship last year. Local sponsors are an important part of the Clubs success. The electric pump is still missing and badly needed by coaching staff. If anyone has it PLEASE leave it in clubhouse. Comhghairdeachas le Brid Anna Ni Bhaoil ata frid go dti babhtai ceannais scor na sinnsear san. Thug si den thaisbeantas i min an aoraigh oiche aoinne. Buiochas do Anton O’Dochartaigh, Deaglan O’Martin agaus Seamus Mac Ruairi a rinne sar iarracht i trath na gceist. Congratulations are extended to former player Ciaran Doherty who is now excelling at track and cross country events on a national level. Ciaran is attached to the Letterkenny Athletic Club. Ladies and Girls training continues in Aishlann at 7.30pm on Wednesday nights. Please make an effort to get to training as the Junior league starting date is 8th April and u14 starting date is 27th March. Lotto details for week 8th February. Jackpot 1040 euro. No jackpot winner. There were four match 3 winners – Harry Harden – Meendoirenaslua, Pat McGarvey – Rann na Feirste, Rose Burke – An Bhraid, Kevin Gillespie – Mullachdubh. Numbers were 5-8-18-24.